National Institutes of Health Chooses Mayo Clinic for Biobank, But What Is a Biobank? On May 26, the National Institutes of Health (NIH) awarded Mayo Clinic $142 million over five years to serve as home for the 1-million-person Precision Medicine Initiative (PMI) biobank. Precision Medicine Defined: Precision, or personalized medicine, is a model of care that customizes medical treatment to each individual. To illuminate differences and similarities in health all the way down to the level of an individual patient, researchers need to link data from a variety of sources. Some of those sources are physical, such as blood or urine samples, cells, tissues or organs removed in medical procedures. And some, such as electronic health records, mobile health data, and vital signs, are informational. Biospecimen Processing Technician Mimi Iyorbo inspects a rack of samples ready for storage in the Mayo Clinic robotic freezer. Typically, these data are spread out among different facilities and within different software or databases. Collecting and standardizing the information can slow down the research process. Biobanking: A biobank is a facility designed to safely and privately hold health information and keep biological samples in optimal condition to enable research. For the Precision Medicine Initiative biobank, Mayo Clinic will store more than 35 million physical, or biological, samples expected to be gathered, and provide efficient, safe and privacy-protected methods for researchers to analyze these data. Mayo Clinic’s Biobanks: Mayo Clinic’s biobanks consist of both targeted collections that focus on a single disease, such as bipolar disorder, and a general population collection consisting primarily of Mayo Clinic patients. 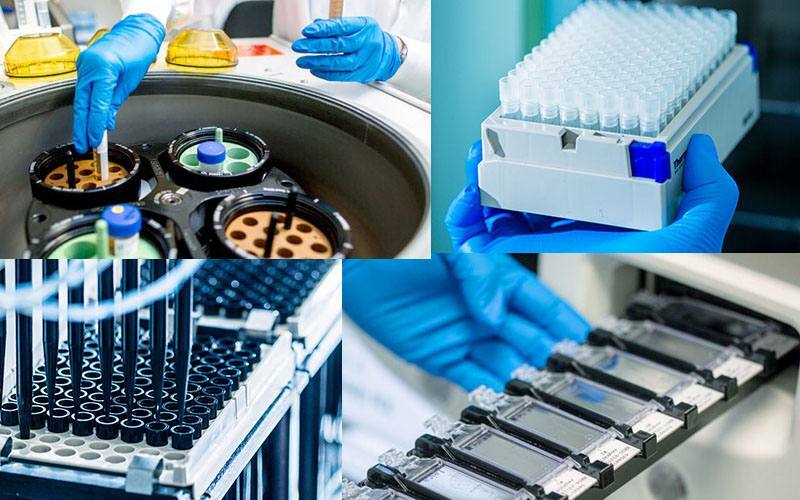 The Mayo Clinic Biobank has served as a research resource for several years and has infrastructure in place to quickly implement the policies and procedures associated with this initiative. The PMI Biobank: The PMI samples will be collected from volunteers across the U.S., and participants will have access to their personal data as well as summarized data from across the group. These samples will be cataloged and stored in automated, secured freezer complexes, primarily at Mayo Clinic in Rochester, Minnesota, but also at the Mayo Clinic biospecimen laboratory in Jacksonville, Florida. The NIH award will be administered by Mine Cicek, Ph.D., director of the Mayo Clinic Biospecimen Accessioning and Processing Core Laboratory, and Stephen Thibodeau, Ph.D., co-director of the Mayo Clinic Center for Individualized Medicine Biorepositories Program, the David F. and Margaret T. Grohne Director of the Biorepositories Program for the Center for Individualized Medicine, and the William H. Donner Professor. Dr. Cicek notes that the highly automated Mayo Clinic Bioservices facility allows for efficient and accurate handling and processing of specimens, which will include robotic systems to separate, label and store biospecimen components, including automated DNA extraction. Call the Expert: For more information on the NIH biobank, the Mayo Biobank or biobanking in general, Dr. Thibodeau is available to speak with reporters. Contact: Colette Gallagher, 507-284-5005.